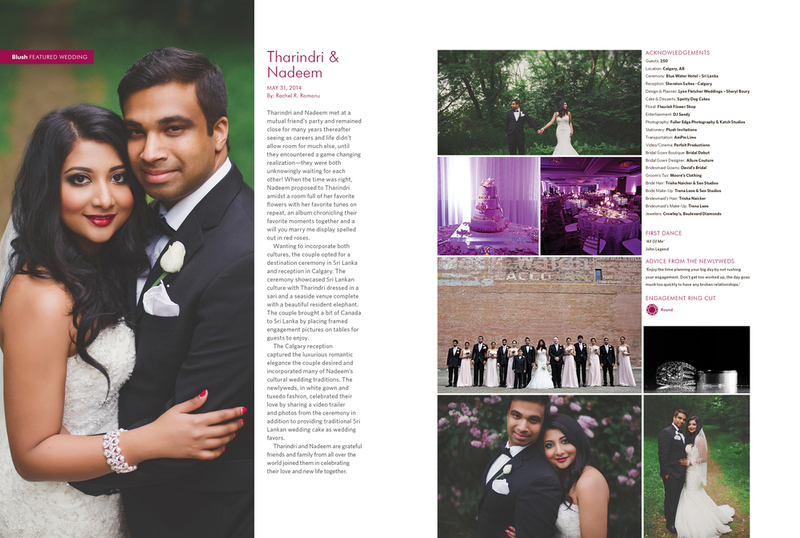 Blush Magazine: Feature of Ty & Nadeem's Wedding! We are so excited to share our latest wedding to be featured in a magazine! Blush Magazine from Edmonton features some of Alberta's most stunning and breath taking wedding. Ty & Nadeem's wedding reception in Calgary was a dream! From the incredible decor, performances and candy bar, we were blow away. Check out the blog feature here! Here's a look at the feature! Be sure to pick up your copy today to check out more real weddings!